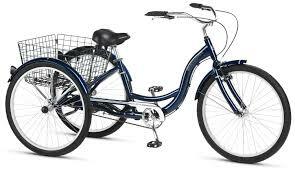 Rusty, who runs Geelong’s new Lib rary of bikes for loan is looking for an adult tricycle for someone who’s getting back on the bike after a stroke. If you can help, please contact Rusty. This entry was posted in Uncategorized and tagged tricycle by hlyth2013. Bookmark the permalink.